I’ve had quite the Asian theme going in the last few posts, and we couldn’t be happier campers. Well, maybe Nate would be if he didn’t have to split the leftovers with me! 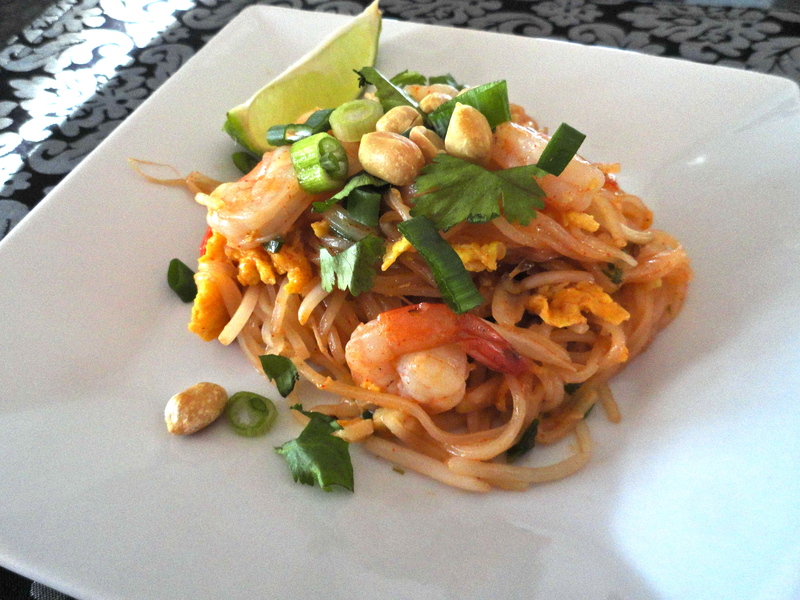 Pad Thai was on my 30 Before 30 list, and as the months are quickly dwindling away, I am finally getting to it. I really should have tried it much sooner because it was amazballs. Part of the reason it has taken me so long to try this recipe is because one of the star ingredients, tamarind, isn’t available at my local grocery store. I actually had to step outside my comfort zone and stop into my local Asian market. Not sure why I was hesitant or what I was really expecting, but the gentleman who was working was quite friendly and more than helpful. This market carried paste, powder, and the solid block. 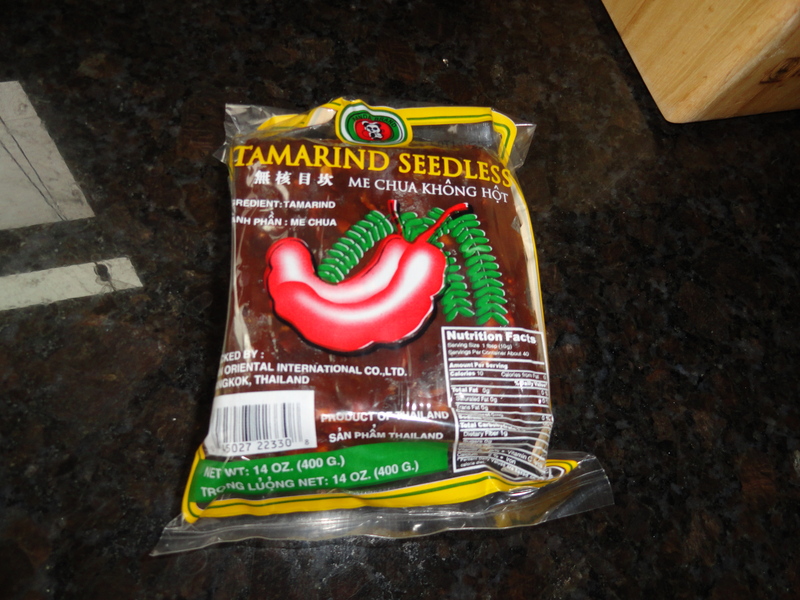 Some upscale grocery stores may carry tamarind, usually in paste form and in the Asian isle. But, the recipe I followed strongly suggests using the solid form that comes in a block. Clearly, I’ve never worked with tamarind before, but I’m sure I’ve had it in a handful of Asian dishes I’ve ordered, not even knowing what the flavor really was. Tamarind is a pod-like fruit that tastes quite sweet and slightly tart. 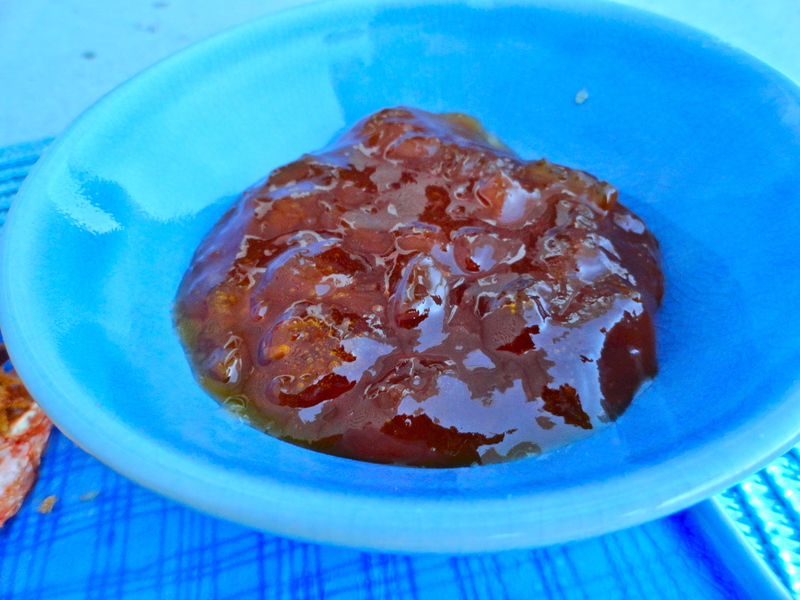 In my opinion, the sweetness and consistency is similar to figs. Seeing as though I only needed 3 tbsp for the Pad Thai, I had most of the block left. 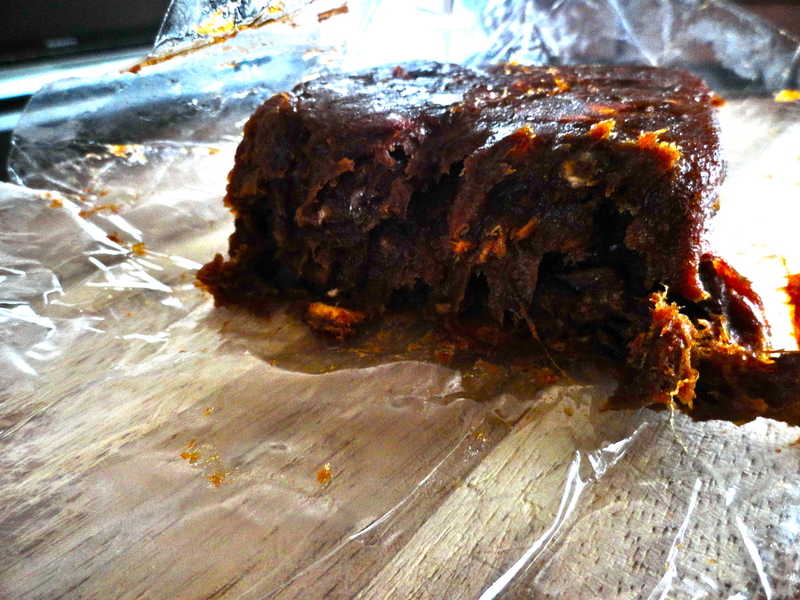 After some research, it appears the tamarind block can be stored in airtight container on the shelf. No refrigeration necessary. Most people says it lasts “forever”, though I’m guessing you’ll use it all before forever comes after you’ve tried this Pad Thai. 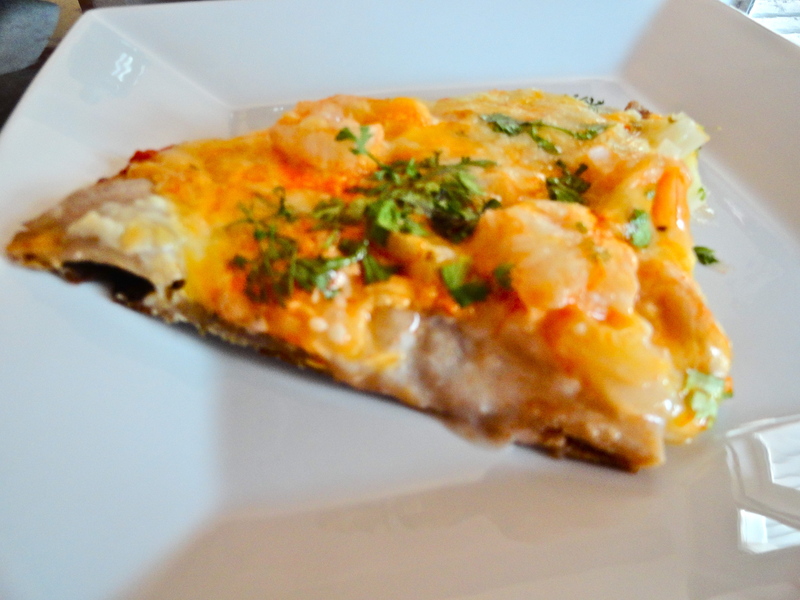 This recipe comes from Nicole over at Prevention RD. It was another home run! I can always count on her food to be yummy. There are a lot of components, and it’s slightly cumbersome to prepare, but as Nicole suggests, if you have everything measured out and ready to go, it comes together really quickly. This dish really hit the spot! After a long night with friends (and a few drinks), we were really ready for some flavorful comfort food. It’s amazing how much flavor the peanuts add, so do NOT forget them! 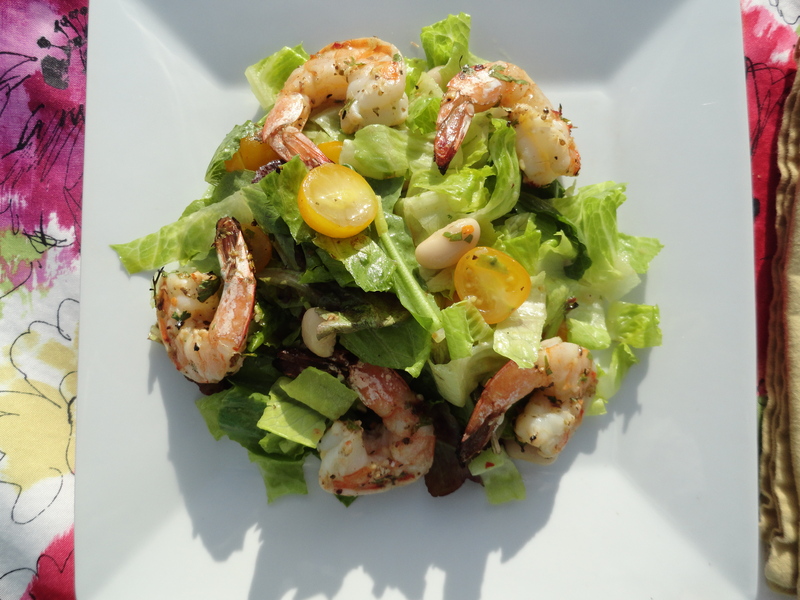 For you vegetarians, the shrimp can easily be omitted or substituted with tofu, and omit the fish sauce or use this recipe for a substitute. I only made a few adaptations to Nicole’s recipe, which was using 1 tsp cayenne rather than 3/4 tsp (of course we like it spicy), and using fresh rice noodles rather than the dried variety. Whether you think you like Thai food or not, I highly suggest trying this out. Nate and I really enjoyed it; he even had two hearty helpings! 1. Soak tamarind in 3/4 cup boiling water for 10 minutes. Push tamarind through mesh strainer, reserving water in medium bowl. To the bowl, add fish sauce, rice vinegar, sugar, cayenne and 2 tbsp peanut oil. Stir and set aside. 2. If using dried rice stick noodles, cover with hot tap water in large bowl; soak until softened, pliable, and limp but not fully tender, about 20 minutes. Drain noodles and set aside. If using fresh rice stick noodles, in a medium sauce pan, fill with water and bring to a boil. 3. In a small bowl, beat eggs and 1/8 tsp salt. Set aside. 4. Heat 1 tbsp oil in large skillet or wok over high heat until just beginning to smoke. Add shrimp and sprinkle with remaining salt. Cook and flip occasionally, until shrimp are opaque and beginning to brown around edges, about 3 minutes (don’t worry, they don’t have to be cooked completely through at this point). Transfer to plate and set aside. 5. Discard any excess liquid in pan. Add remaining tbsp oil to skillet and swirl to coat; heat to medium. Add garlic and shallot and cook until golden brown, about 1 1/2 minutes. Add eggs to skillet and stir with wooden spoon until lightly scrambled, less than 1 minute. Meanwhile, drop rice stick noodles into boiling water, immediately remove and transfer to skillet. Pour fish sauce mixture over noodles, increase heat to high, and toss constantly to coat noodles evenly. 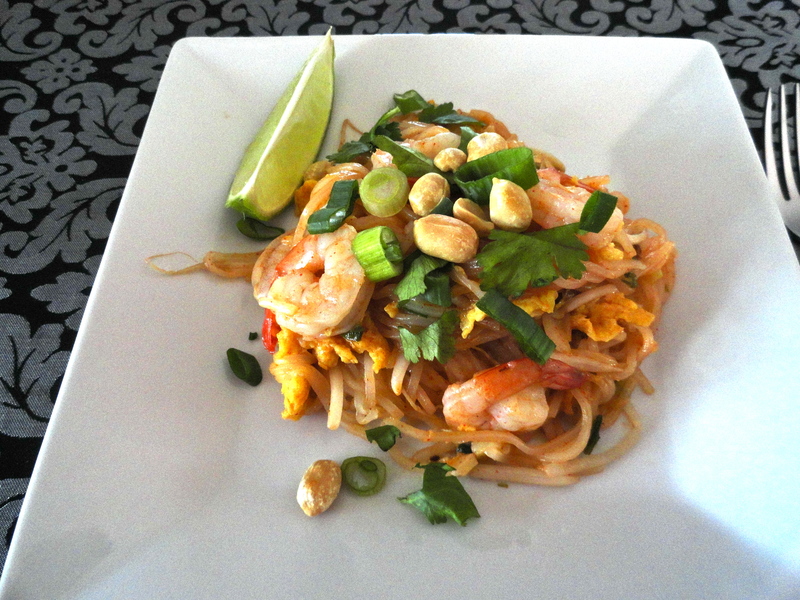 Scatter 1/4 cup peanuts, bean sprouts, scallions (reserving some for garnish) and cooked shrimp over noodles. Continue to cook on high, tossing until noodles are tender, about 3 minutes. 6. 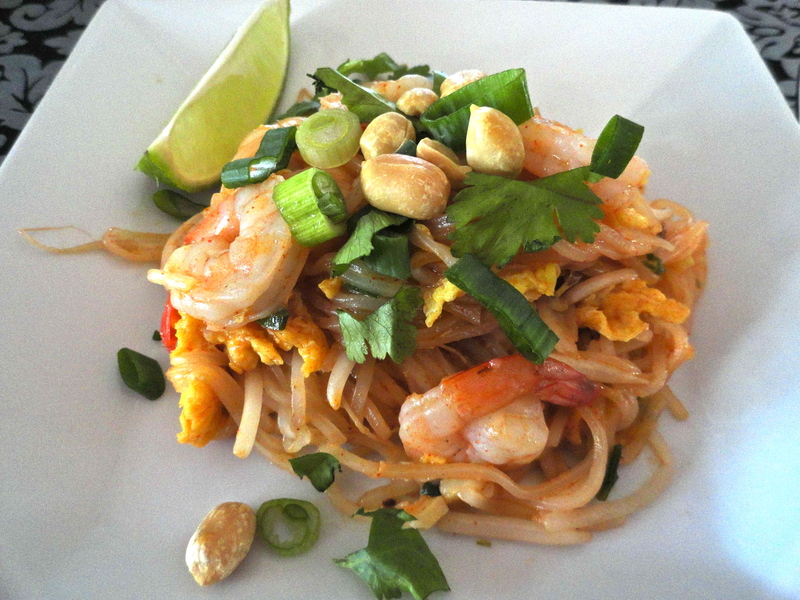 Transfer noodles to serving platter, sprinkle with remaining peanuts, scallions and cilantro. Serve immediately with lime wedge. Work has been insane crazy lately, which means less time for me to be in the kitchen. Well, it’s not like I stopped cooking or anything, but we’ve just been running through old standbys, nothing new. But, I’m back! I have finally had a chance to get my head straight since the beginning of the year and I’m getting a move on my 30 Before 30 list. Nate is out-of-town for the weekend, so Kimmy came over to keep me company (her Nate is with my Nate ice fishing). I invited two of my other best girls to come over too, and made a ladies night of it. I think this might be the first time we’ve gotten together to just hang, rather than do a tasting of some sort. Not that the tastings aren’t fun, and don’t end up in debauchery anyway. 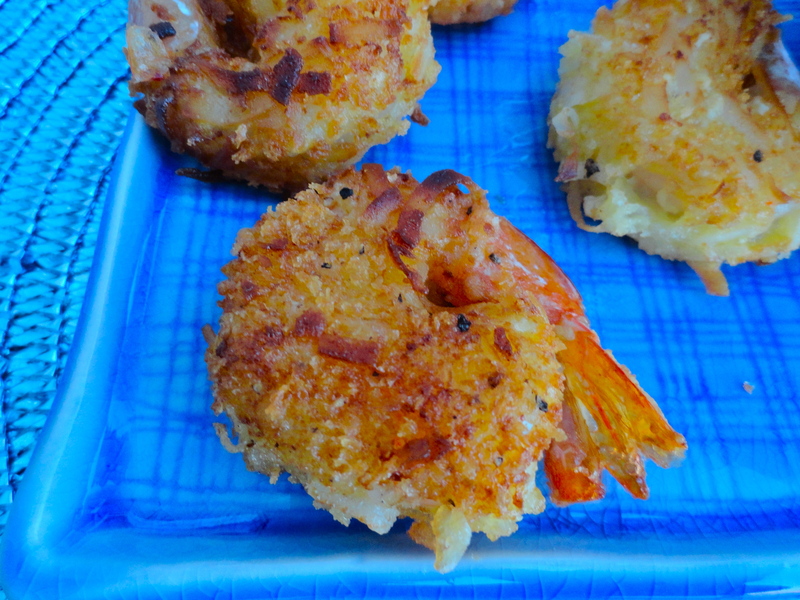 Back to the topic…so I thought this would be a good opportunity for me to make coconut shrimp – on my list! I had to test a few before the ladies arrived because 1) I had to make sure they were delicious, and 2) it would have been too dark to get an acceptable picture – and if you remember, I want to get a bit better this year at taking pictures (without having to invest a bunch of money or space). I went with a simple recipe I saw on Food Network along with the dipping sauce, but I came across another sauce that I also wanted to try. Both turned out really tasty, and also a good dip for egg rolls, too! I prefered the chili-lime dipping sauce, but the apricot rum was good, too. The recipe actually called for orange marmalade, but I thought I’d try it out with apricot since I had that in my fridge already. It turned out really well. I didn’t read the directions fully, and originally just added the rum to the preserves without simmering. Whoa! It was strong. After I revisited the recipe, I found my mistake and simmered the sauce for a few minutes. 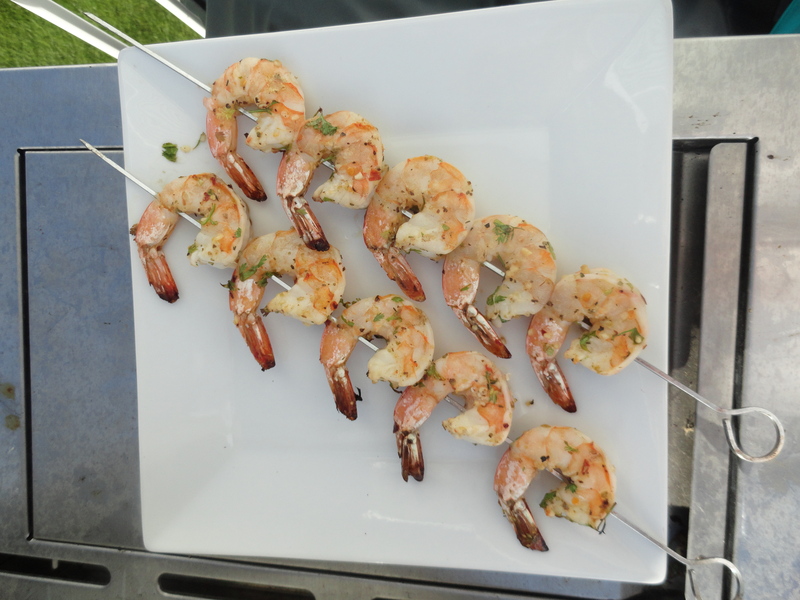 The shrimp was great! Honestly, I would have liked a bit more coconut, but I liked the subtle sweetness. The panko was a good choice to make them extra crispy. The ladies all loved the shrimp and said they wouldn’t have changed a thing. It was a huge success!! 1. In a large shallow dish, combine coconut and bread crumbs. Season with salt and pepper. Place flour in shallow dish, and beat eggs in another separate shallow dish. Set up a dredging station, starting with shrimp, flour, eggs, coconut/bread crumbs, and then an empty platter to place shrimp before frying. 2. Working one at a time, dredge shrimp into the flour, shaking off excess. Then dip into egg mixture, scraping on side to remove any excess. 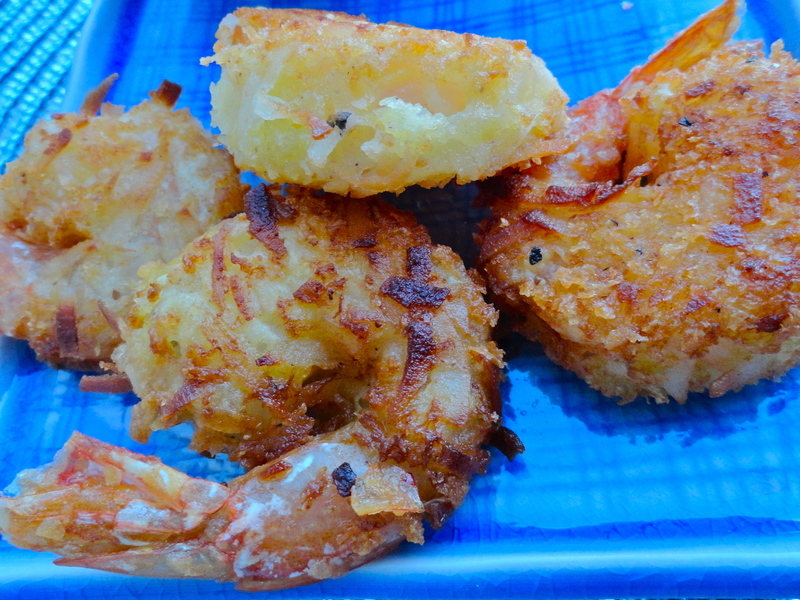 Finally, dredge in coconut mixture, ensuring the entire shrimp is covered. Shake off any excess. Repeat with remaining shrimp. 3. In a large deep pan or Dutch oven, pour a few inches of oil. Heat to 350 degrees. 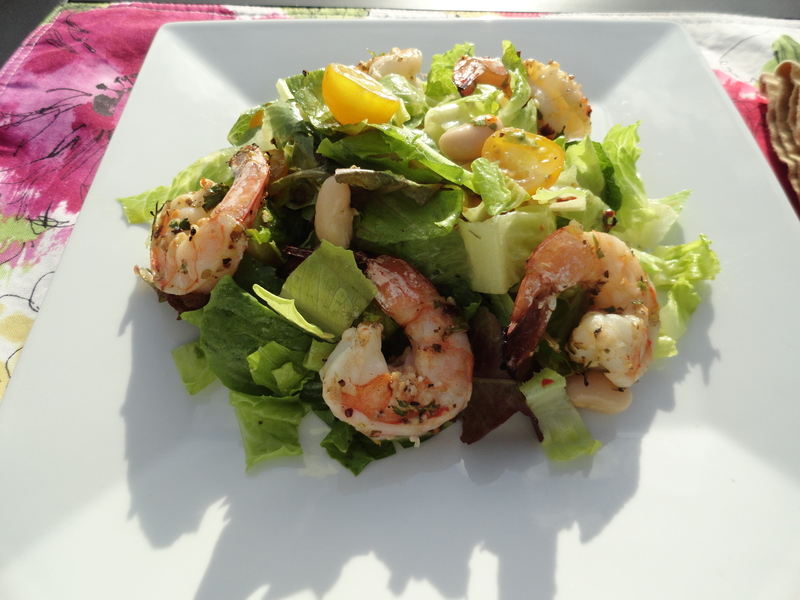 Fry shrimp in batches until golden brown and cooked through, about 3-4 minutes. Remove and place on paper towel. 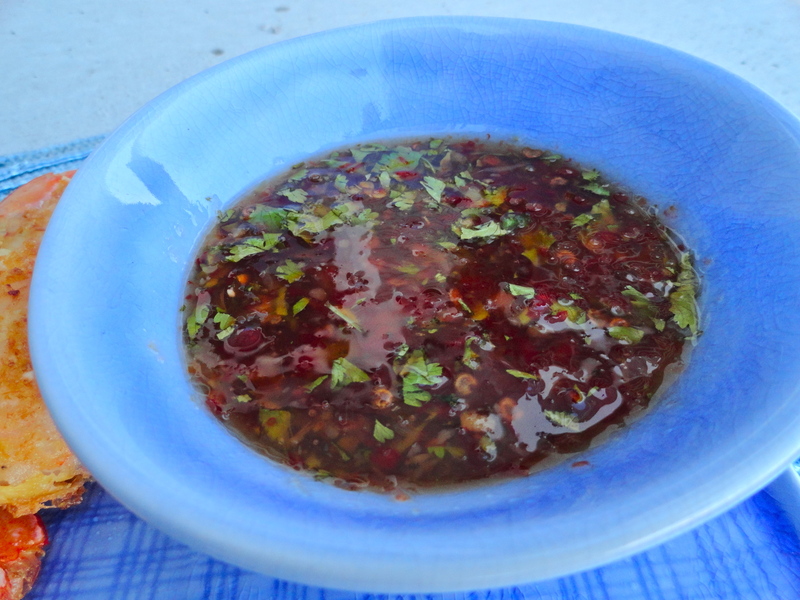 Serve with desired dipping sauce (Cilantro-Lime Chili and Apricot Rum dipping sauce recipe below). 1. In a small bowl, combine all ingredients. Refrigerate until ready to use. 1. In a small saucepan, combine both ingredients and cook over low heat. Simmer for 3-5 minutes. Serve. 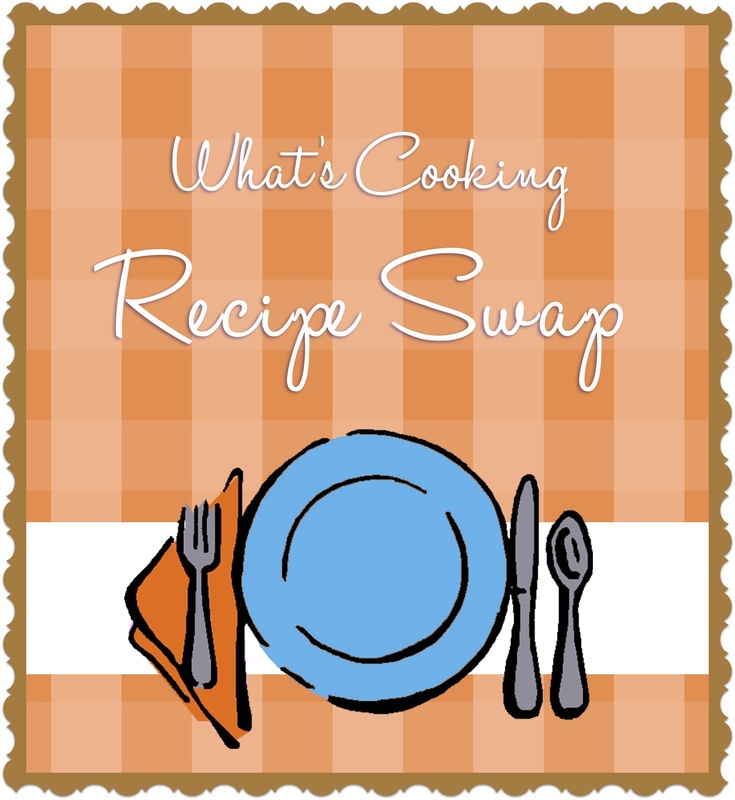 It’s time for another recipe swap, and this month, I was assigned Carrie’s Sweet Life. Carrie is a fellow Minnesotan, and though we’ve never met in person, I feel we at least have some sort of a local connection. I was excited to see that I was assigned her blog, but definitely faced with a tough decision. 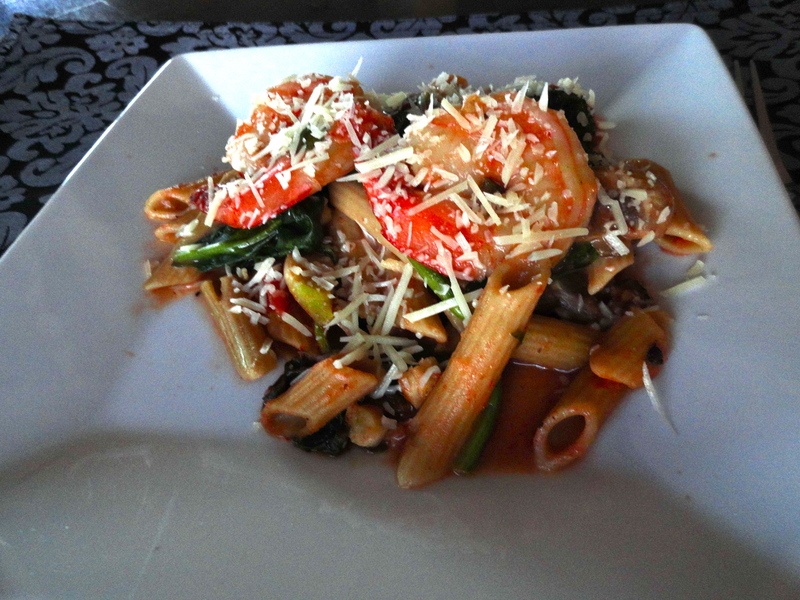 So many of her recipes looked wonderful, but in an attempt to add more seafood, and not as much chicken, I settled on Penne Rosa with Shrimp. **Now that I’m looking back to link her blog, I’m seeing a new recipe for Honey Banana Peanut Butter Muffins. I will be back! 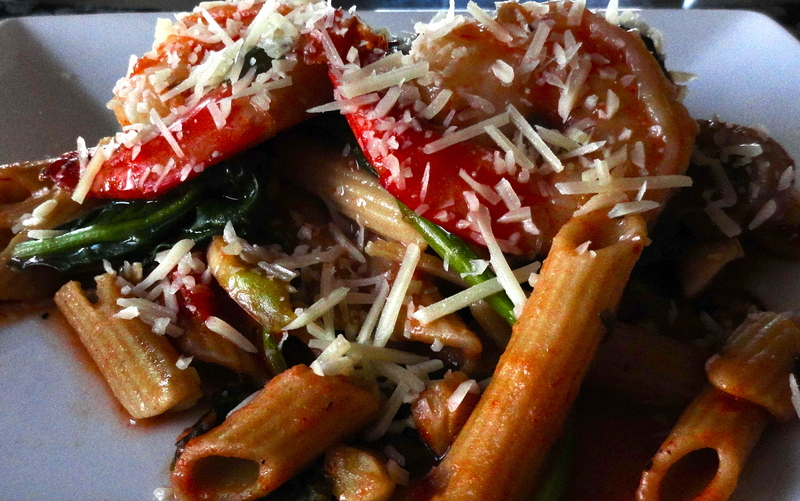 In Carrie’s evaluation of her penne rosa, she said it was good, but she didn’t love it. There wasn’t an indication as to why she didn’t love it, but I of course interpreted this as needing more flavor. I made a few minor additions in an attempt to really bring out some deeper flavors. One thing that stuck out to me is that there was a minimal amount of seasoning, so I added some fresh basil and red pepper flakes. 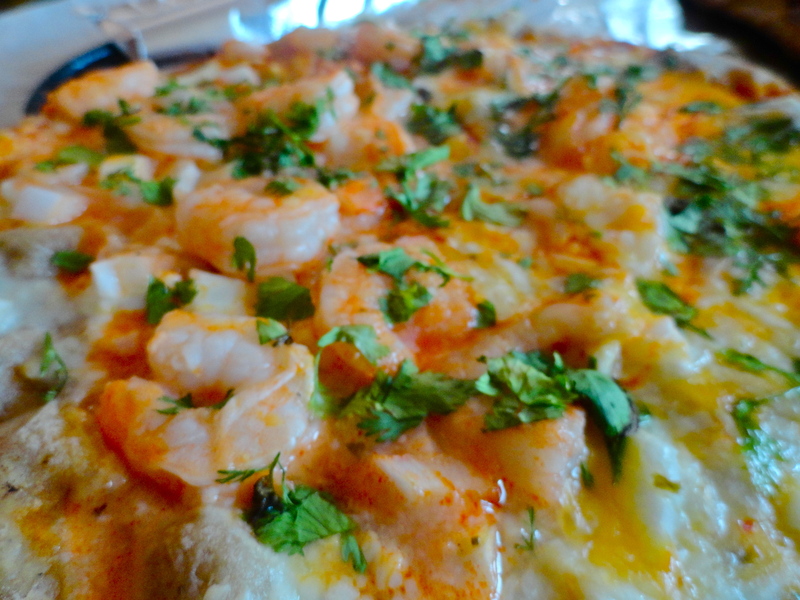 Additionally, I added a little white wine to amp up the flavor of the shrimp. Instead of mincing the garlic, I sliced it so there were a little larger pieces throughout the pasta. I love that. If you don’t, mince your garlic. 1. Cook penne according to package directions. Drain and set aside. 2. In a large deep skillet, heat oil over medium-low heat. Add mushrooms and cook until they begin to soften stirring frequently, about 5-8 minutes. Add garlic, red pepper flakes and tomatoes and cook until garlic becomes fragrant, about 1 minute. Salt and pepper to taste. 3. 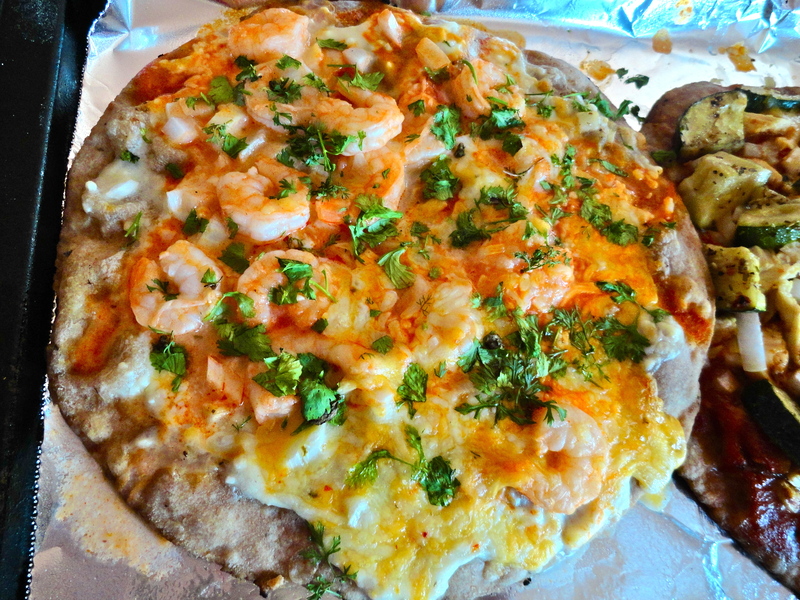 Increase heat to medium and add shrimp. Add white wine and cook until shrimp become bright pink and are almost cooked through (don’t worry, they’ll continue to cook), about 4 minutes. Turn off heat. Stir in spinach and cover. 4. Meanwhile, in a small bowl, mix together marinara sauce and Greek yogurt. Once spinach has wilted, add sauce to pan and turn heat back on low. Add in pasta and stir until well combined. Stir in basil. Serve and garnish with parmesan cheese.